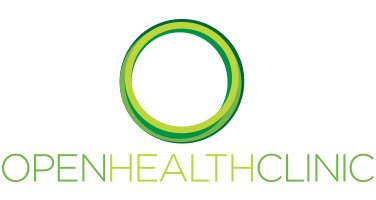 Here at the Openhealth Clinic, we are a close-knit team and work together to ensure that we offer the best physiotherapy, osteopathy, sports massage and acupuncture treatments in and around Ascot – Today we have an interview with Graeme Rider who is one of the Osteopaths at Openhealth. If you have any questions for Graeme or want to know more about any of the treatments that we offer then please get in touch with a member of the team today! My name is Graeme and I embarked on my BSc Hons degree in Osteopathy in 1995. What made you choose physiotherapy (osteopathy, sports massage, acupuncture) as a career? I chose to study Osteopathy, as I very much relate to treating the body as a series of interconnecting systems. A Holistic approach if you like. Like most medics I expect, it’s the helping people. Also, the fact that no two patients are the same. Successful outcomes tend to result from a combination of treatment and advice, as well as the patient’s self-management. Why is physiotherapy (osteopathy, sports massage, acupuncture) important to you? Sound musculoskeletal structure will provide full functionality. You need that to enjoy life to the full. I thrive on the fact that we work as a multi-disciplined team. Our patients are Openhealth patients, not my patient or one of my colleague’s patients. Sadly, that’s rare. Cycling and listening to music. Maybe not at the same time!